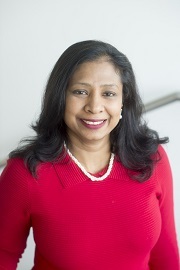 Dr Kogila Balakrishnan Director of Client and Business Development at WMG, University of Warwick, Dr Kogila Balakrishnan, is on the expert panel on Friday (12th April) at the Chevening Conference 2019. Dr Balakrishnan, a Chevening Alumnus herself, will discuss, debate, and share ideas on pushing boundaries and the importance of building international networks, as well as those documented in her recent book ‘Technology Offsets in International Defence Procurement.’ The book is the first to focus on both the theory and practice of offsets, combining developmental economic theories, technology theories, business and management theories and international business practice. Dr Balakrishnan is responsible for international business development, research in defence management and offsets as well as teaching at WMG. Her specific role is to develop and enhance education and research collaboration focused in Malaysia and South East Asia. PhD students, and future battery engineers, from leading universities across the UK joined us for a special week-long Battery School at our Energy Innovation Centre, for the Faraday Institution, recently. In our role as the Electrical Energy Storage APC Spoke, our battery experts facilitated a mix of lectures and practical sessions covering electrochemistry, applications, future technologies, manufacturing, safety, testing, forensics and battery end of life. Fran Long, Education and Training Co-ordinator, at The Faraday Institution, said: “The WMG Battery School, at the University of Warwick, gave our PhD students a wonderful week of detailed theory and practice with an abundance of high quality lectures and ‘hands-on’ lab sessions. The Faraday Institution is the UK’s independent institute for electrochemical energy storage science and technology, supporting research, training, and analysis. It brings together scientists and industry partners on research projects to reduce battery cost, weight, and volume; to improve performance and reliability; and to develop whole-life strategies from mining to recycling to second use. The Battery School is part of the Faraday Battery Challenge, along with the UK Battery Industrialisation Centre (of which WMG was part of the winning consortium). Find out more about our Energy Innovation Centre here. Researchers from WMG at The University of Warwick, have used a high resolution X-ray (micro-CT) scanner, a novel 3D imaging technology more commonly employed in industry and materials research, to scan 9 week old Teri-Rae’s rib cage. The scans images with one thousand times of the detail of a hospital scanner, meaning they were able to detect 2 more microscopic injuries which could otherwise have been missed by conventional medical CT scanners. The evidence produced helped reveal a total of ten injuries of varying ages. 3D renderings of these injuries were shown during trial to provide visual context and support the bone specialist’s expert testimony. This secured a guilty verdict for the charge of manslaughter for Teri-Rae’s mother Abigail Palmer, who has been sentenced today - 4th April 2019. 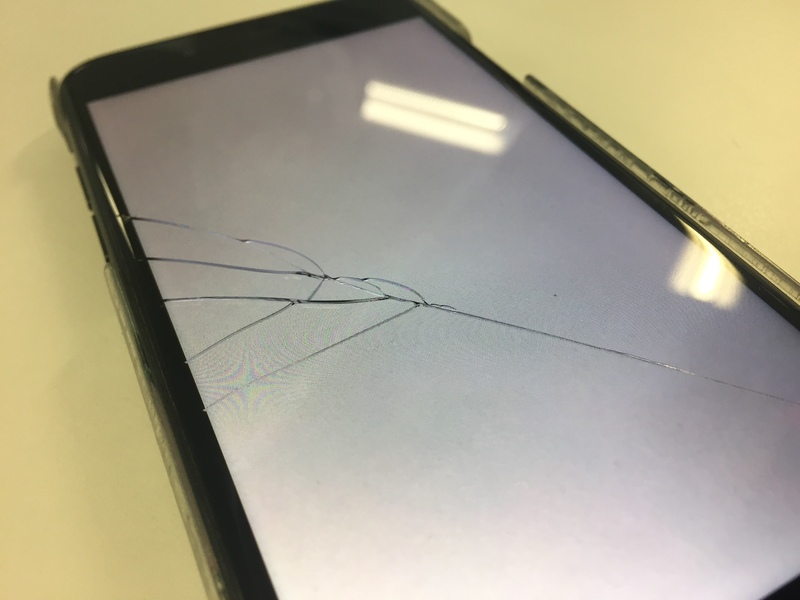 The work was conducted as part of an ongoing research partnership between Warwick University and West Midlands Police which uses such scanning technologies to support homicide investigations. “State-of-the-art 3D scanning technology allowed us to identify multiple fractures to Teri-Rae’s ribs that had occurred over an extended period of time. “We were able to show that Teri-Rae suffered 10 rib fractures over a four to 12 hour period between 3am and 11am on 2 January. “Palmer had been at a pub for six hours on New Year’s Day but claimed to have drank mainly squash, not alcohol, as that would have breached a condition of the Child Protection Plan she was bound by. “We don’t believe her… and neither did the jury. We suspect she came home drunk, was awoken by her baby in the night and inflicted these terrible images in response to Teri-Rae’s crying. “Palmer admitted the baby was never out of her sight and never mishandled by anyone else; she offered no plausible accidental explanation for her daughter’s injuries. There was no indication Teri-Rae suffered a bone fragility condition and she was not independently mobile enough to have injured herself. In a new research paper entitled “Glass-like transparent high strength polyethylene films by tuning drawing temperature.” Published online today - 1st April 2019 - in the Journal Polymer, the authors show that after carefully selecting the type polythene and by tuning the temperature during the creation of oriented polythene films a balance can be created that produces a highly useful and lightweight transparent material with a significant strength and resilience approaching, and in some ways, exceeding that of metals. “The microstructure of polymers before drawing very much resembles that of a bowl of cooked spaghetti or noodles, while after stretching or drawing the molecules become aligned in a way similar to that of uncooked spaghetti, meaning that they can carry more load” explains Yunyin Lin, a PhD student in Professors Peijs and Bastiaansen’s team. At 11am on Saturday 30th of March 2019, Coventry Cathedral enabled hundreds of people to gather for a special service of thanksgiving for the life of Freeman of the City of Coventry and Founding Chairman of WMG, at the University of Warwick, Professor Lord Bhattacharyya CBE FRS FREng (Born 6th June 1940 – Died 1st March 2019). The Right Reverend Dr Christopher Cocksworth, the Bishop of Coventry, and Coventry Cathedral Precentor and Sub-Dean the Reverend Canon David Stone welcomed Lady Bridie Bhattacharyya, Lord and Lady Bhattacharyya’s three daughters Anita, Tina and Malini, and the Lord-Lieutenant for the West Midlands and his wife Mrs Diana Crabtree, and Lord and Lady Mayoress of Coventry, as well as the rest of the congregation to the Cathedral. The Bishop gave the address from the pulpit and the service included a number of touching tributes to the life of Professor Lord Bhattacharyya. These were led by a tribute by Miss Tina Bhattacharyya, on behalf of the family. Mr Ratan Tata GBE, Chairman Emeritus of Tata Sons, and Chairman of Tata Trusts. (Ratan Tata and Professor Lord Bhattacharyya were both made Honorary Freemen of the City of Coventry at the same ceremony in 2015). 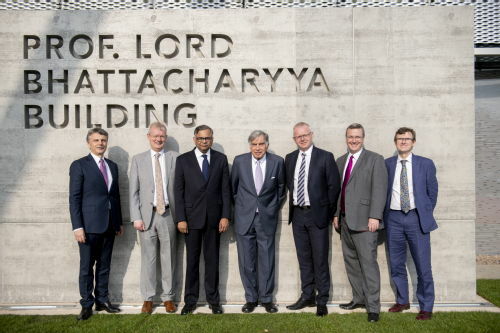 Later, that same day, the University of Warwick formally unveiled a plinth outside the new £150 million building on the University campus hosting the National Automotive Innovation Centre, which now proudly bears the name “The Prof. Lord Bhattacharyya Building”. Lord Bhattacharyya’s family and the University of Warwick would like to thank the Bishop of Coventry, Coventry Cathedral, Coventry City Council, the West Midlands Combined Authority, and National Express West Midlands for their help in arranging the service of thanksgiving. There have been a great many tributes made by a wide range of leading figures to the life of Professor Lord Bhattacharyya since his passing on 1st March 2019. 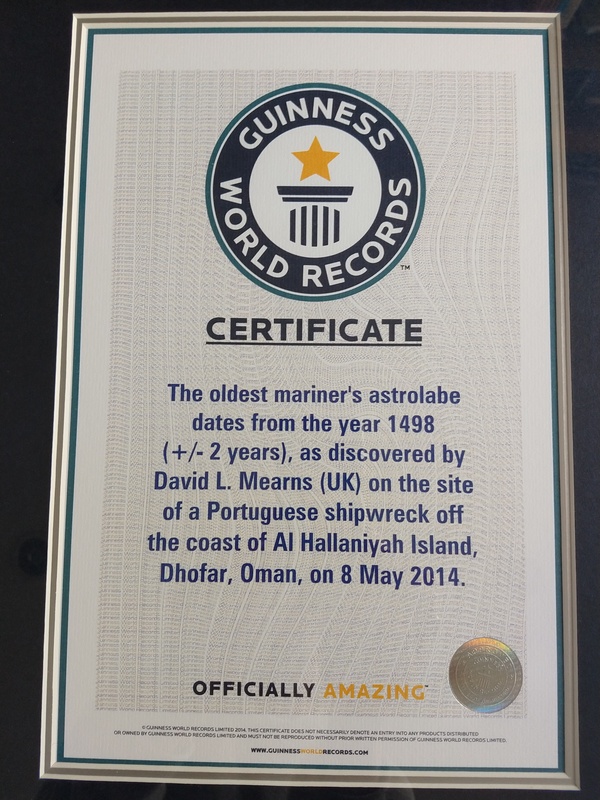 It has been named the Sodré astrolabe after the commander of the ship in which it was found: Vicente Sodré was the maternal uncle of Vasco da Gama and died when his ship, the Esmeralda, wrecked on the remote Omani Island of Al Hallaniyah in 1503. 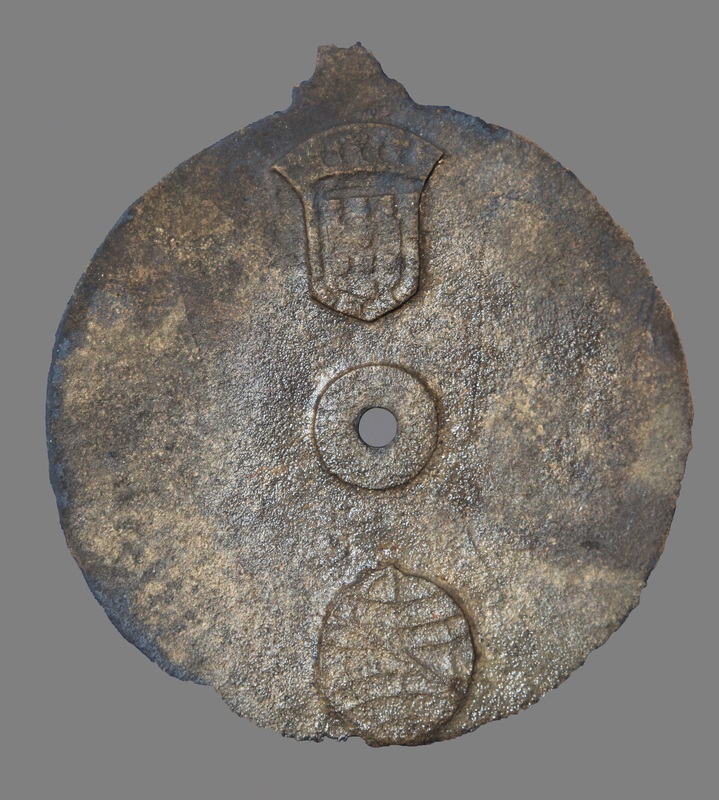 The scientific process of verifying the disc as an astrolabe by laser imaging is described in a paper published today by Mearns and Jason Warnett and Mark Williams of WMG at the University of Warwick in The International Journal of Nautical Archaeology. The Sodré astrolabe which has made it into the Guinness Book of World Records is believed to have been made between 1496 and 1501 and is unique in comparison to all other mariner’s astrolabes. Mariner’s Astrolabes were used for navigating at sea by early explorers, most notably the Portuguese and Spanish. They are considered to be the rarest and most prized of artefacts to be found on ancient shipwrecks and only 104 examples are known to exist in the world. They were first used at sea on a Portuguese voyage down the west coast of Africa in 1481. Thereafter, astrolabes were relied on for navigation during the most important explorations of the late 15th century, including those led by Bartolomeu Dias, Christopher Columbus and Vasco da Gama. It is the only solid disk type astrolabe with a verifiable provenance and the only specimen decorated with a national symbol: the royal coat of arms of Portugal. The thin 175 mm diameter disk weighing 344 grams was analysed by a team from WMG who travelled to Muscat, Oman in November 2016 to collect laser scans of a selection of the most important artefacts recovered from the wreck site. Using a portable 7-axis Nikon laser scanner, capable of collecting over 50,000 points per second at an accuracy of 60 microns, a 3D virtual model of the artefact was created. Analysis of the results revealed a series of 18 scale marks spaced at uniform intervals along the limb of the disk. “Using this 3D scanning technology has enabled us to confirm the identity of the earliest known astrolabe, from this historians and scientists can determine more about history and how ships navigated. Engineers and researchers at WMG, University of Warwick, are working alongside Transport Design International (TDI), based in Stratford, to develop a battery-powered, lightweight, rail-based vehicle to operate in Coventry. The WMG team, including engineers Darren Hughes and Andrew McGordon, are using their automotive engineering and battery expertise to assist TDI with the design of the vehicle for Coventry City Council, and now have a 3D simulation of the vehicle. The vehicle will be battery-powered with the long term objective that it will become an autonomous vehicle, allowing more vehicles to operate intelligently and efficiently to meet passenger demand. It will hold 50 passengers, and the longer term aim is that it will work like the London Underground system, where there is no timetable and people can hop on and off. The vehicle will be a lightweight design using multiple materials including aluminium, steel and composites. Due to being battery-powered there will be no overhead power supply which is both costly and has a negative impact to the city-scape. This feature provides future flexibility for operating on other non-electrified routes. The first-of-a-kind design is available to view in 3D via WMG’s visualisation suite and the first test vehicle will be manufactured by mid-2020. TDI have partnered with Coventry-based Company RDM who will manufacture the vehicle once the design is complete. A team of experts are also working to develop a new track system. 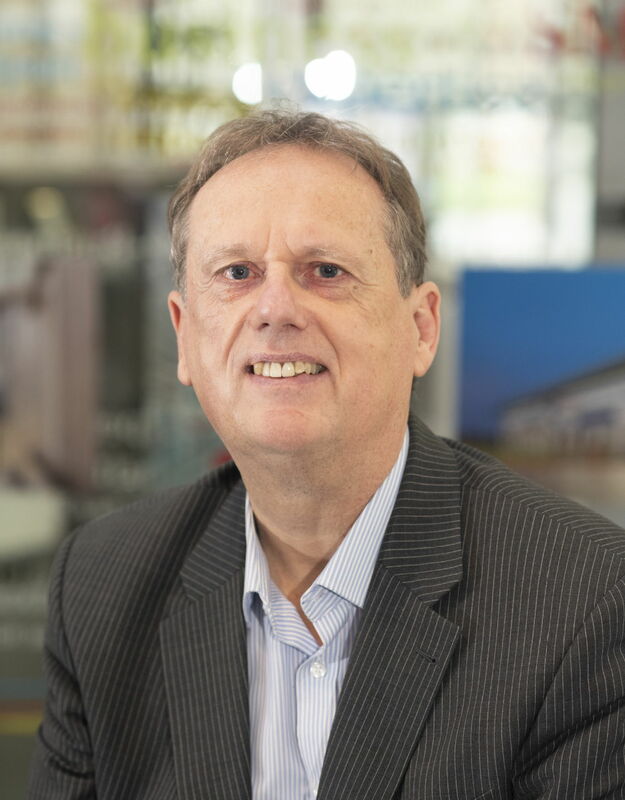 The Government’s Local Growth Fund through the Coventry and Warwickshire Local Enterprise Partnership (CWLEP) has contributed £2.46 million towards phase one of the research and design of the prototype and £12.2 million has been secured from the West Midlands Combined Authority (WMCA) Devolution Deal to undertake the research and development required to prove the VLR concept. The WMCA has also allocated specialist resource from Transport for West Midlands to provide technical support, advice and guidance to the project team as the scheme develops. “Very Light rail is a fantastic innovation and it has the potential to transform the way people travel. It will be much more affordable to install than traditional trams, take up far less road space, be able to run alongside traffic and our ultimate aim is that it doesn’t require a driver so it can be a frequent service. “Coventry and Warwickshire is at the forefront of battery technology and this exciting scheme emphasises our skills at leading the way in innovation. “This new technology will bring more jobs and investment to Coventry and Warwickshire and it underlines the value of partnership working to boost the area’s economy. WMG Research Fellow, Sid-Ali Amamra, has been selected to present his work at the prestigious STEM for BRITAIN event on Wednesday 13th March. The event takes place at Westminster with around 100 MPs in attendance to hear more about the current science, engineering and mathematics research by early-stage and early-career researchers in the UK. Sid-Ali works within WMG’s Intelligent Vehicles research team focusing on the advanced energy management systems for electrical networks and power systems integrating plug-in electric vehicle with Li-ion battery technologies. Sid-Ali’s poster on research about the Vehicle-To-Grid (V2G) technology supervision using internet of things (IoT) will be judged against dozens of other scientists’ research in the only national competition of its kind. He was shortlisted from hundreds of applicants to appear in Parliament. Sid-Ali explains: “I feel happy to present WMG at this event. It is a fantastic opportunity for me to communicate my research to an interesting audience and to present the high impact of my project for helping government to reach the net-zero emissions UK’s target in near future. Sid-Ali’s research has been entered into the engineering session of the competition, which will end in a gold, silver and bronze prize-giving ceremony. The Parliamentary and Scientific Committee runs the event in collaboration with the Royal Academy of Engineering, the Royal Society of Chemistry, the Institute of Physics, the Royal Society of Biology, The Physiological Society and the Council for the Mathematical Sciences, with financial support from the Clay Mathematics Institute, United Kingdom Research and Innovation, WMG, Society of Chemical Industry, the Nutrition Society, Institute of Biomedical Science, the Heilbronn Institute for Mathematical Research and the Comino Foundation. WMG is proud to be sponsoring the Engineering section for the third year. Find out more about STEM for Britain here. Professor Lord Bhattacharyya’s long and highly accomplished career in engineering and manufacturing began with his studies in Mechanical Engineering at the Indian Institute of Technology in Kharagpur. He was awarded his Bachelor of Technology (BTech) degree by Kharagpur in 1960. In 1961 he came to the UK to serve a six year graduate apprenticeship at Lucas Industries. This was followed by further studies and research at the University of Birmingham earning him a Master of Science (MSc) degree in engineering production and management, followed by a PhD in engineering production in 1970. Lucas and the University of Birmingham clearly saw something special as he was quickly awarded a Lucas Fellowship at Birmingham. However, his acumen and ability soon became known to a great many other people. This included Lord (then just plain Jack) Butterworth who in 1980 persuaded him to move to the University of Warwick to found and lead what was to become WMG (formerly Warwick Manufacturing Group). The range of people seeing something special in Kumar was not confined to his professional life, in 1981 he married Brigid Carmel Rabbitt, known to all as Bridie and together they set about restoring their home. Just a few short years after WMG’s foundation the leadership of the embattled Austin Rover group, at British Leyland, turned to Lord Bhattacharyya and his new team for advice on adapting and innovating automotive design and professional development. It is with the deepest regret that we report that Professor Lord Bhattacharyya, Chairman of WMG at the University of Warwick, passed away on Friday 1st March after a short illness. His passing was peaceful and he was with his family, who are in our thoughts and prayers. “Long before I joined the University of Warwick Council, I knew of Professor Lord Bhattacharyya as an adviser to successive Prime Ministers and Secretaries of State and a tireless advocate for UK manufacturing industry. Then, as Chair of Council I had the great good fortune to see close up his extraordinary commitment to University of Warwick, to Coventry and the West Midlands and to UK plc. “He was a force of nature. He pushed at boundaries, he changed lives, he created jobs, and he set the standard for how universities should work with industry. Most of all, for so many of us, he was also a kind and generous friend. We shall miss him terribly but here at Warwick he will remain our inspiration for many years to come. The University will post a longer tribute to his life and achievements in the coming days. Professor Lord Bhattacharyya's life touched so many people who we know will want to show their respects and commemorate his life and achievements. We therefore envisage that there will be a memorial event in due course and we publish the arrangements when they are available.